Early last year, I learned that it is many times wise to throw away preconceptions about certain things and try something different. I was having shoulder problems along with neck stiffness, coupled with back pain and an elbow that was very tender to the touch. Recently, it occurred to me that this experience has similarities to the pains that NSPE and many other organizations feel. I recalled going to my general physician a little over 20 years ago with a litany of minor issues for which I needed some relief. He admitted to me at the end of our session that he was having difficulty summarizing my problems. I told him that was an easy one, advising him to write down “patient just turned 40.” He got a good laugh out of that, although I am not sure what he ended up writing down on my record. After more years of wear and tear, I was in need of help again. My wife had been telling me to go to a chiropractor for months. It took her those months to convince me, which I suppose represented progress. It took her five years to get me to try blueberries. I figured that “chiro” was worth a try—and despite much skepticism—made an appointment. During my visit, the doctor told me about how the misalignment of a human body’s frame can cause a multitude of issues. And then he went to work to straighten me out. My body has been in alignment or close to it for most of the time since my first few visits. It falls out of alignment sometimes if I slip on a slick surface and catch myself or take a bad step off a curb or something like that. My monthly office visit usually gets things back to “normal.” A better range of motion and less pain are the results of good alignment. But, bad alignment means bad results. Here is another example. If, like me, you live in northern climes where winter months include ice and snow, you have probably hit a pothole or two while driving. You hit them at full speed and pray that your tires remain inflated. Even if the tires survive, the front end of the vehicle can get thrown out of alignment. Bodies out of alignment don’t work well. Cars and trucks out of alignment don’t work well. Organizations and associations that are out of alignment experience similar results. 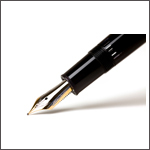 Some spend a lot of time crafting a strategic plan only to ignore it before the ink is even dry on the document. 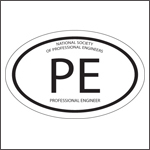 Thankfully, NSPE is not such an organization. We invested many hours of volunteer capital and professional staff time in our Race for Relevance efforts. Instead of holing up in a conference room for two days with 20 or 30 volunteers and staff to create a new strategic plan, we created task forces that capitalized on the skills of many more members as well as our state societies’ executives and staff, and our NSPE staff. The results of this long process included a strategic directions document that ultimately yielded a new strategic plan. Mission accomplished, right? No—“journey just begun” is more like it. The challenges after crafting a strategic plan include that key word: alignment. The six strategies of our plan—member value, advocacy, content, collaboration, member engagement, and professional/leadership development—set the course for how our organization must align itself to continue to move in a positive direction. Everything that we, as NSPE, do needs to align with at least one of the strategies that we have determined now set our direction. The ongoing work of our committees, task forces, boards, and interest groups needs to be aligned with the plan as well. This has been a major focus of the current NSPE year. Each group—from the Legislative and Government Affairs Committee to the Professional Engineers in Higher Education to the Strategic Partnerships Task Force to the Board of Ethical Review—is operating based on approved charges and work plans that are aligned with the NSPE strategic plan and that also include metrics. A solid foundation has been constructed, upon which we will continue to build in the years ahead. Aligning our overall allocation of resources (i.e., budgeted funds, staff time, and volunteer time) with our strategic priorities is another way in which NSPE will continue to advance. As with the human body and the vehicles that we drive, looming in our organization’s path are icy sidewalks, potholes, and the possibility of slips and falls. We have however committed as an organization to be on the lookout for such potential pitfalls and to always think strategically. In so doing, NSPE will continue to travel the road to relevance as smoothly and pain-free as possible.